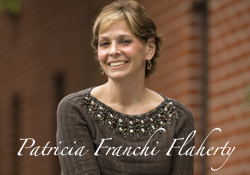 Our founder, nine-year survivor Patricia Franchi Flaherty, took a stand when she was diagnosed with ovarian cancer a second time in 2006. Thirty years prior, Patty lost her mother to the very same disease. She decided that if this disease took her life, she was not going to let it take her quietly. Patty had an idea brewing: she wanted to start an organization whose sole purpose would be to raise funds, awareness and support for the women who were fighting the battle. Armed with a handful of her best friends, she formed an organization to do just that. Patty and another close friend decided on a name, Ovations for the Cure of Ovarian Cancer. Recalling her mother's quote from childhood, "A butterfly is the spirit of a loved one who is no longer with us," the teal butterfly became the symbol of hope for Ovations. 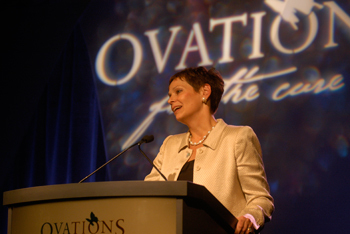 Right off the starting line, Ovations decided that the best way to raise money was to host events. Their first event—the Stuart Weitzman Fashion Show—was a huge success. The show, which became an annual event for five consecutive years, raised over $250,000 in support of Ovations' mission each year. Not stopping there, Ovations has aligned itself with several other international brands such as McDonald’s, Carmen Marc Valvo, Michael DePaulo, Cold Stone Creamery, Kenzie Kids and Neiman Marcus. Ovations has hosted numerous community-based events, working with local families affected by ovarian cancer, from golf tournaments at several New England area golf courses, forming Team Ovations for the Boston Marathon® Jimmy Fund Walk, a tennis tournament at Waltham Athletic Club, a concert with Girl Authority, all the way to small, intimate in-home awareness parties. 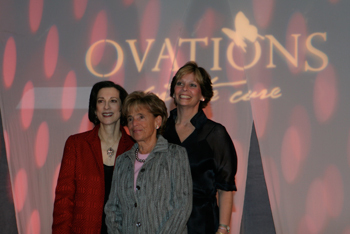 To date, Ovations has dedicated over $1.5 million to ovarian cancer research, awareness and patient programs. 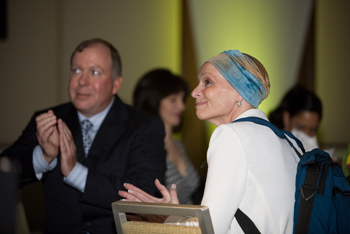 The death of her mother, Madeline, to ovarian cancer along with Patty's own battle with the disease created the impetus for what would become Patty’s greatest and most defining achievement. 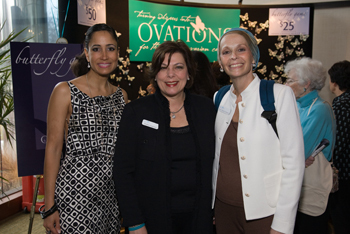 Ovations for the Cure continues to have a positive impact on thousands of women facing ovarian cancer today. 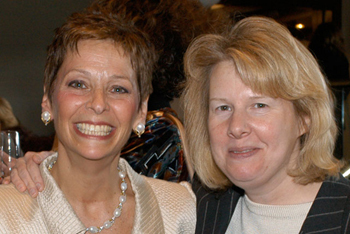 Patty helped create and fund several ovarian cancer research funds at renowned medical facilities nationwide. Even the research physicians who treated Patty during the worst of her disease now receive support for their ongoing studies and programs. Had these doctors and Patty never crossed paths, their combined efforts might not have come to fruition. 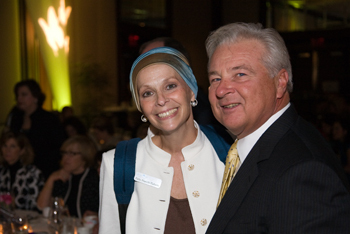 As a trustee at DFCI and the founder of Ovations for the Cure of Ovarian Cancer, and through her own generous donations, Patty helped give women facing ovarian cancer a fighting chance. 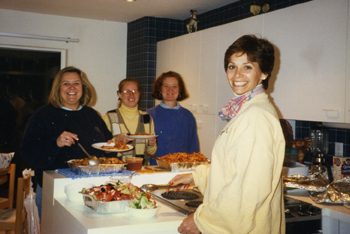 In February 1999, Patty was diagnosed with Stage IIIc ovarian cancer, the same disease that claimed her mother’s life. Surgery and chemotherapy treatments brought Patty into a remission that lasted 5 years—a critical milestone for a number of reasons. Patty wasn’t like most survivors. She constantly reached out to other women within the ovarian cancer sisterhood. Patty always considered herself luckier than most. When cancer struck again, she wasn’t about to sit still. Determined to be victorious—not just for herself, but for others as well—Patty and 10 intrepid girlfriends embarked on a mission to “save other women from the devastation of ovarian cancer.” This time, Patty fought back using the very things she knew and loved: fashion, shoes and camaraderie. 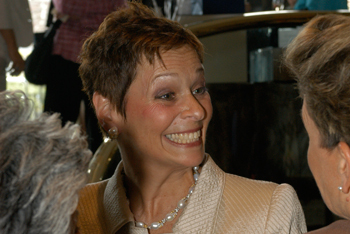 Her first fundraising effort to benefit ovarian cancer research, the Stuart Weitzman Fashion Show and Luncheon in 2006, showcased her incomparable style and fashion sense. Proceeds from the show helped fund the Madeline Franchi Ovarian Cancer Research Fund, in honor of Patty’s mother, at Dana-Farber Cancer Institute. 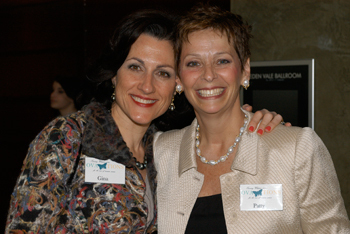 The overwhelming success of the fundraiser provided the motivation Patty needed to launch Ovations for the Cure of Ovarian Cancer, a non-profit organization to raise disease awareness and funding for ovarian cancer research, to advocate for new diagnostic testing and treatment options, to provide moral support for ovarian cancer patients and families, and ultimately, to find a cure for ovarian cancer. Through the natural extension of Patty’s voracious appetite for très chic footwear, she created the uplifting “Happy Feet” program, giving Stuart Weitzman jelly slip-ons to patients undergoing ovarian cancer treatment. 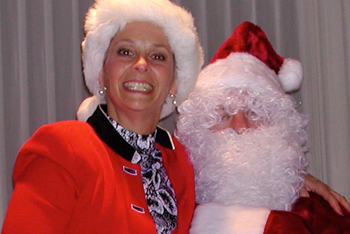 From 2006 to 2010, the program provided more than 3,500 women with Happy Feet shoes. The shoes were a rousing success! Patty also initiated “Learning for Living with Ovarian Cancer,” the first symposium of its kind to educate and update ovarian cancer patients and survivors—at no cost to them—on the latest ovarian cancer research, treatments and therapies. Patty felt that it was essential to create patient wellness programs that would build disease awareness, bolster patient morale and inspire cause for hope. With Ovations as a vehicle, she was able to provide critical information and resources not previously available to women facing ovarian cancer.